OnePlus 5T Receives Over 40 Million Reservations in 48 Hours in China - Playfuldroid! OnePlus has officially announced in China on Nov. 28. The flagship killer phone was made available for buying starting from today at 10 AM in China on Jingdong. During the two-day reservations period after the official launch, Jingdong received over 40 million reservations for OnePlus 5T. The OP5 with 6 GB RAM + 64 GB storage and 8 GB RAM + 128 GB storage are respectively priced at 2,999 Yuan (~$453) and 3,499 Yuan (~$530). These models are available in Midnight Black color. 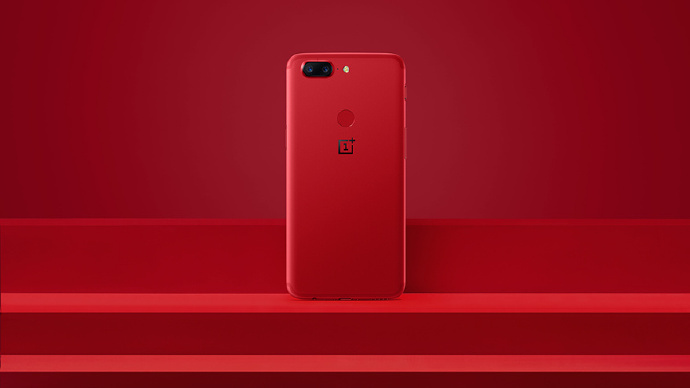 A special edition OnePlus 5T Red Lava version is expected to be exclusively in China from Dec. 17. OnePlus 5T is also available for buying in the U.S, India and European nations like France, Denmark, Finland, Great Britain, Italy, Netherlands and Germany. OnePlus has recently said it is the fastest selling device till date as it took 6 hours for it to break sales records of OP5 in the U.S. In China, it is expected to even better response.